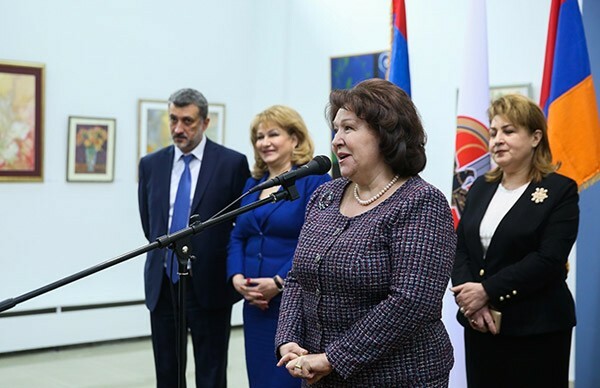 The exhibition, organized jointly by the Women’s Organization of the Republican Party of Armenia and the Union of Artists of Armenia, has been held for more than ten years, featuring art lovers. 120 works of 120 painters were included in the exhibition, which inspired visitors with their spring bright colors and aesthetic art. Hermine Naghdalyan, Chairman of the Women’s Organization of Armenia, Nerses Ter-Vardanyan, RA Deputy Minister of Culture, MPs, Deputy Mayor of Yerevan Aram Sukiasyan, members of Yerevan Council of Elders, RPA Women’s Council representatives and guests visited the event. The visitors walked around the hall, talked to the authors of the works, most of whom were their old friends. Hermine Naghdalyan, the Chairman of the RPA Women’s Organization, congratulated women on the occasion of a beautiful spring holiday.